Baby shark! The story behind this incredible song is not 100% well known, but what is known is that it is rapidly becoming a cultural icon of 2018 and 2019 - Something known by almost every child across the world and something loved by almost all of them as well! That is why we are so pleased with this superb childrens wall sticker, depicting the famous song! 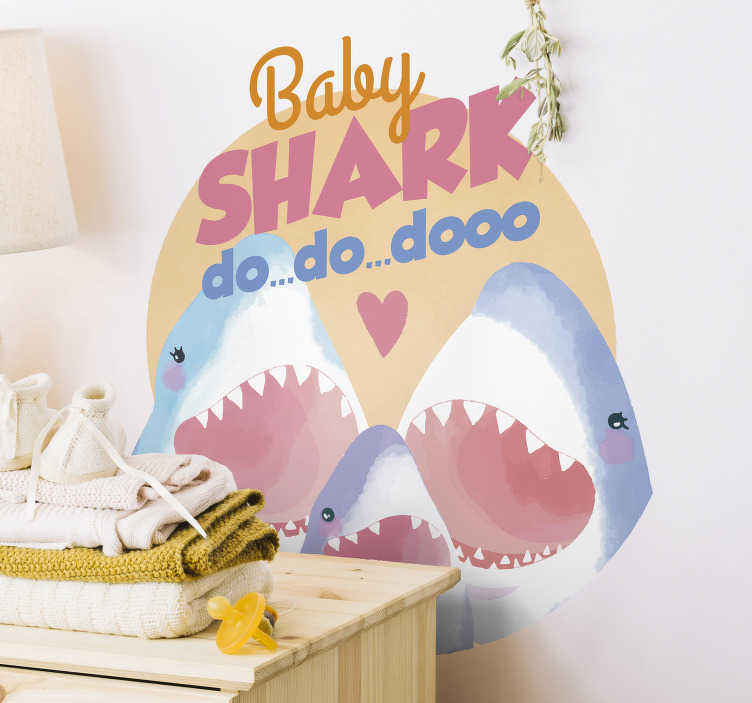 Baby shark themed decor is the new fashion and we at Tenstickers are proud to be leading it!